Drinks served in ice glasses in the Ice Bar. credit@gemma_IceBar. 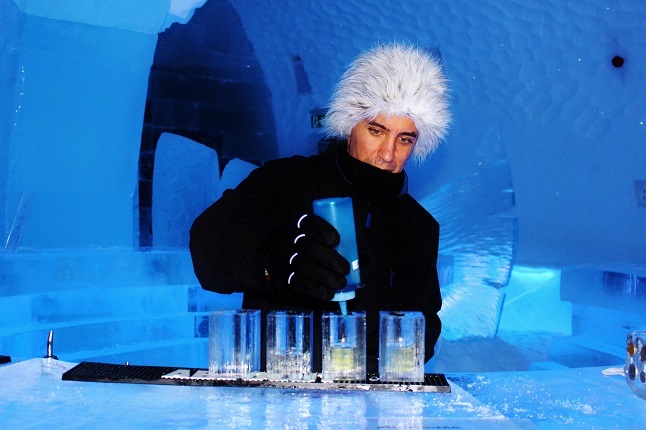 Drinks are served in ice glasses in the Ice Bar.